Click here for the Parent Survey - Thanks! Read more about this article about Click here for the Parent Survey - Thanks! Did you know that April is the Month of the Military Child! 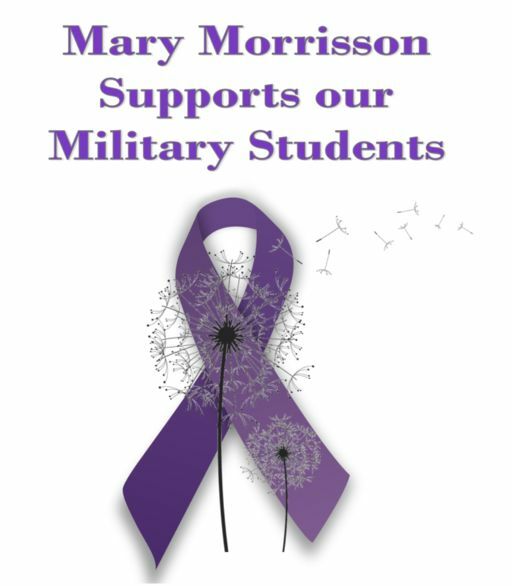 On Friday April 11th, MM will be wearing purple to support all of our Military Kids! Students will be receiving purple braclets to show support! Thank you to all our Military Families for their service! Click here to learn more about the Month of the Military Child! Read more about this article about Mary Morrisson Goes Purple! Mary Morrisson has been recognized as a top-performing school! The Next Generation Accountability System and the Connecticut State Department of Education has recognized 160 Schools of Distinction – we are considered in the top 10% based on school improvement! Congratulations to Mary Morrisson's students, staff, and families – Well done! Mrs. Hanks, our Math Specialist, would like to congratulate the students at Mary Morrisson! Since the start of the year, our students have completed 38,000+ lessons on DreamBox! Dreambox is an adaptive Math Program that is now used K-5! It adjusts based on students' abilities as they play a variety of games. Click here to learn more about DreamBox! Your child can play Dreambox at home or on the go (like going on a long road trip). Your child can log-in through Clever using their Google log-in information. Contact your child's teacher if you need help logging in from home! Read more about this article about That's Alot of Math! Mary Morrisson Goes RED - Read Every Day! Ms. Seddon recently applied for and won a grant from the Connecticut Reading Association! After committing to reading every day, all students in grades 2 and 3 will receive RED folders that are filled with high interest books that they can read over and over again and trade with classmates. Students in these grades can engage in book chats with their classmates and trade books at one of the classroom's Stop and Swap stations! As a reader who reads every day, students will remember to bring these folders to and from school and read any chance they get. The overarching goal is for all students to become readers for life! The grant has helped Mary Morrisson continue to foster a community where we teach students that they are not just learners, thinkers, and readers in school, but also outside school as well. At Mary Morrisson, we have made a commitment to Read Every Day and encourage and support learning for life! 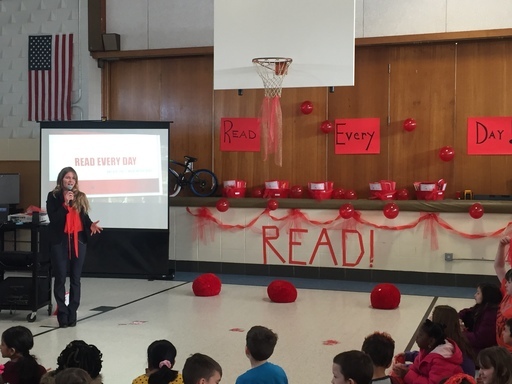 Ms. Seddon kicked off the project with a special assembly where students from Grades 2-3 received their red folders filled with high interest books. Congratulations Ms. Seddon and thank you for all your hard work! Read more about this article about Mary Morrisson Goes RED - Read Every Day!